Some research suggests that boosting your levels of vitamin D may help lower your cancer risk. Available in supplement form, vitamin D is an essential vitamin that plays a key role in immune function and helps reduce inflammation. 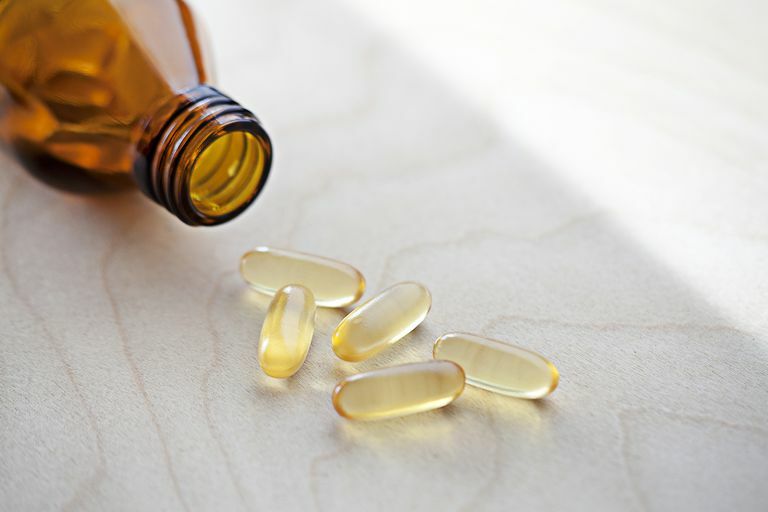 While studies on vitamin D and cancer prevention have yielded mixed results, there's some evidence that people with higher levels of vitamin D may have a decreased risk for certain types of cancer. To date, most of the scientific support for vitamin D's potential role in cancer prevention comes from observational studies (studies that examine specific characteristics of a particular population). In one report, for instance, investigators reviewed 63 observational studies on vitamin D levels and risk of cancer, including colon cancer, breast cancer, and prostate cancer. According to the report, most of the studies showed that people with ample vitamin D levels had a lower cancer risk. After four years, those who took both calcium and vitamin D showed a significantly reduced risk for all types of cancer, compared to those who took calcium only or the placebo. On the other hand, a number of other clinical trials have found that taking vitamin D supplements failed to reduce risk of breast cancer and colorectal cancer—two of the most common forms of cancer in the United States. Given the lack of supporting research, it's too soon to tell whether taking vitamin D supplements can reduce cancer risk. To that end, the National Cancer Institute does not recommend for or against the use of vitamin D supplements to reduce the risk of any type of cancer. However, since maintaining optimal vitamin D levels is important to overall health, many medical experts recommend increasing vitamin D intake. Although vitamin D is found in some foods, such as oily fish and fortified milk, and can be produced by the body during sun exposure, taking supplements may be a more reliable means of upping vitamin D levels. If you're interested in using vitamin D supplements to boost your cancer defense—or for any other health purpose—talk to your doctor about finding a supplement that's right for you. It's important to note that self-treating a condition and avoiding or delaying standard care or preventative measures may have serious consequences. Chlebowski RT, Johnson KC, Kooperberg C, Pettinger M, Wactawski-Wende J, Rohan T, Rossouw J, Lane D, O'Sullivan MJ, Yasmeen S, Hiatt RA, Shikany JM, Vitolins M, Khandekar J, Hubbell FA; Women's Health Initiative Investigators. "Calcium plus vitamin D supplementation and the risk of breast cancer." J Natl Cancer Inst. 2008 Nov 19;100(22):1581-91. Epub 2008 Nov 11. Lappe JM, Travers-Gustafson D, Davies KM, Recker RR, Heaney RP. "Vitamin D and calcium supplementation reduces cancer risk: results of a randomized trial." Am J Clin Nutr. 2007 Jun;85(6):1586-91. National Cancer Institute. "Vitamin D and Cancer Prevention: Strengths and Limits of the Evidence". June 2010.